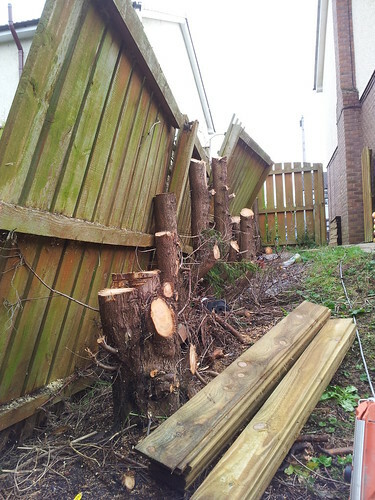 this fencing project in Macclesfield came as a result of our pervious work with the client. 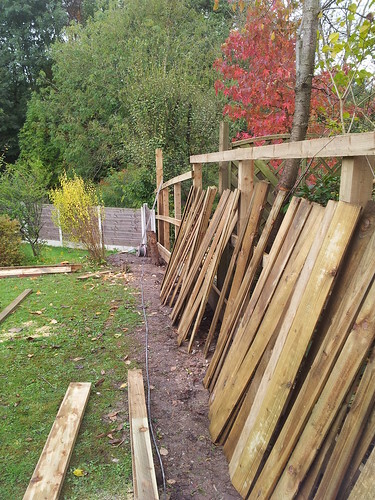 After designing and building a new garden for the client on their previous house, we were called in to construct a new perimeter fence for their new home. 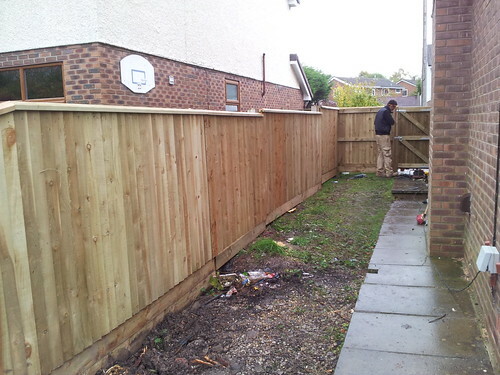 With their famliy growing the client had recently moved hosue to a bigger home, and with the garden fence line in a sorry state Home Grounds fencing services were needed. The fence in some places had all but fallen over, with a large established line of leylandaii hedging providing the rest of the garden boundary. 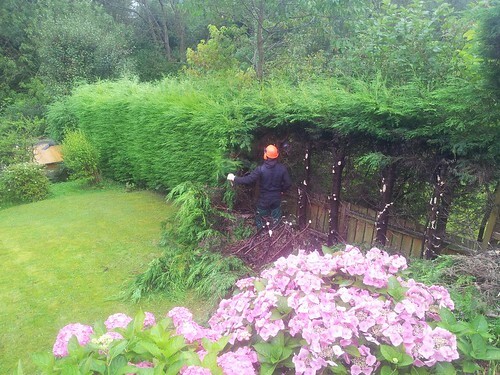 The asked that we remove the hedgerow including all stumps and roots. Due to limited access we had to remove all 33 by hand! This took some real brute force and effort, and the occasional bit of verbal persuasion! In order to remove them. That said, all 33 were removed sucessfully from site in only two days. 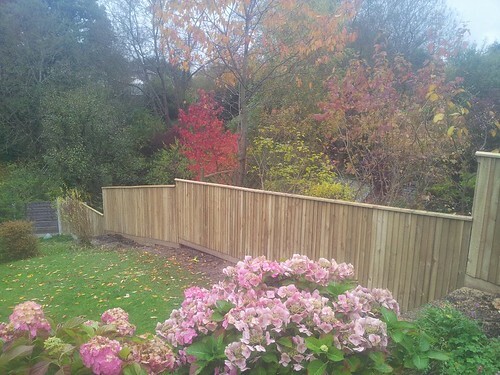 We agreed that closeboard feather edge fencing would provide both a pleasing aestetic, but also security and longevity. The close board feather edge panels are all secured individually using a nail gun, with each board secured using three galvanised 51mm nails. Each 4 x 4 timber fence post is seucred in the ground at a minimum depth of 650mm and contained using postcrete fencing compound. The decortaive fence capping provides further detail, and also protection against weathering. The garden gate was constructed in matching close board feather edge fencing. The project was complted over the course of a week, at final build cost £2800. Fencing macclesfield. Macclesfield fencing. 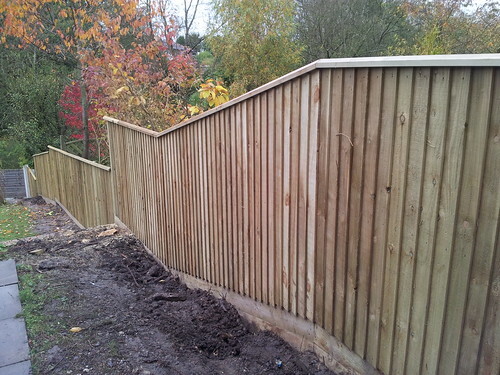 Feather edge fencing macclesfield. Home Ground Fencing. 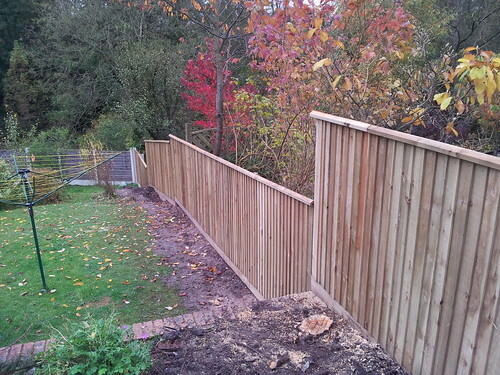 Fencing Contractors Macclesfield.